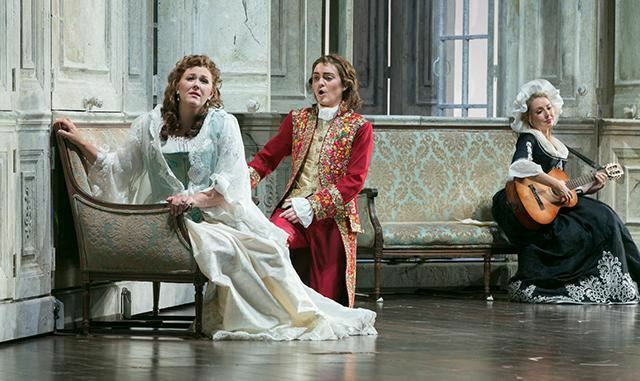 Le Nozze di Figaro (The Marriage of Figaro) is coming to St. Paul, and will be performed at the MN Opera from November 11-19! The ICC will provide a wonderful opportunity for you to become familiar with this beloved opera, whether you plan to see it in November or just want to learn more. Treat yourself to a relaxed and enjoyable presentation, including a live performance, on Thursday, November 2, 6:30-8:30 p.m., at the Italian Cultural Center. Italian native, Mirella Rossi Heimpel, and opera singer, Brooke Wahlstrom, will guide us as we explore the story, the places and the history of this beautiful opera in which Mozart, and his librettist, Lorenzo da Ponte, deploy their skills to the fullest. In addition to the presentation, we’ll have the pleasure of listening to Brooke’s live performance of selected arias. Register here today, and join us to enhance your knowledge of Mozart’s creation before you attend a MN Opera performance! Cost will be $15 for ICC members, and $25 for non-members. Note: The presentation will be in English. In Le Nozze di Figaro, we see Mozart at his most overtly political, and this opera is recognized as being highly critical of the social order of the time. The servants have more morals than the people of the upper class, the women are cunning and resourceful. It is possible that this opera still speaks to us because it was created in an environment that produced the very cultural themes in which we are still immersed today. Figaro can be presented as a piece of boisterous comedy or a highly dramatic story. In this opera, the Countess, one of the most beautiful characters of Mozart's creation, will be reunited with her husband who, tired of his wife, has been trying to seduce his servant and Figaro's bride. Ultimately, the partnership among the women will resolve an impossible situation and will bring mercy and forgiveness to all in a most unexpected and satisfying finale amid gorgeous music. No wonder this is considered by many to be the most beloved operas of all time! Mirella is a native of Rome. She holds a Laurea in Psychology from the University of Rome La Sapienza. Mirella has lived in the United States for 23 years and taught Italian privately and through different community programs. She is currently an instructor in the ICC’s adult language program.. Besides focusing on the four basic skills of speaking, listening, reading and writing, she attaches equal importance to learning about Italy and its rich culture. Brooke is currently a student at the Italian Cultural Center, is a young Minneapolis-based singer who enjoys singing a range of styles from opera to musical theatre and jazz to song recital. She holds a Bachelor of Music in Voice Performance from Palm Beach Atlantic University.Brooke performs regularly in the Twin Cities with notable companies such as The Gilbert and Sullivan Very Light Opera Company and Really Spicy Opera (RSO), where she joined the company as an artist for its 10th Anniversary production of Rigoletto, singing the role of the Page. A finalist of the Concours Lyrique International Bell'Arte, Brooke received the encouragement award and a scholarship through the Fondation Bell'arte. Brooke is delighted to partner with the ICC for the upcoming season of Italian operas at the Minnesota Opera. Contact Tiziana events@theitalianculturalcenter.org with your questions. All classes/events must be cancelled at least 72 hours in advance to receive a refund less an administrative fee.